Check out what our Fulton Schools undergrads are researching at the Fulton Undergraduate Research Initiative (FURI) Symposium! At this semi-annual poster presentation, students in the research and travel grant programs present their research and share their findings with peers, the ASU community and the community at large. Attendees can also enter a raffle for FURI swag by talking with students! This event is also open to all undergraduate engineering students who are working on research with an engineering faculty member. 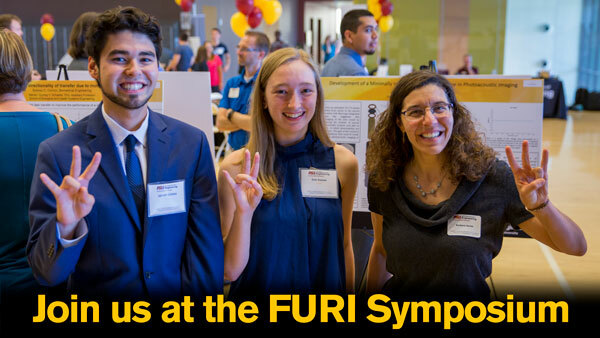 Students not funded through FURI, but interested in presenting their research, can contact the FURI Office at furi@asu.edu at least one month prior to the Symposium.